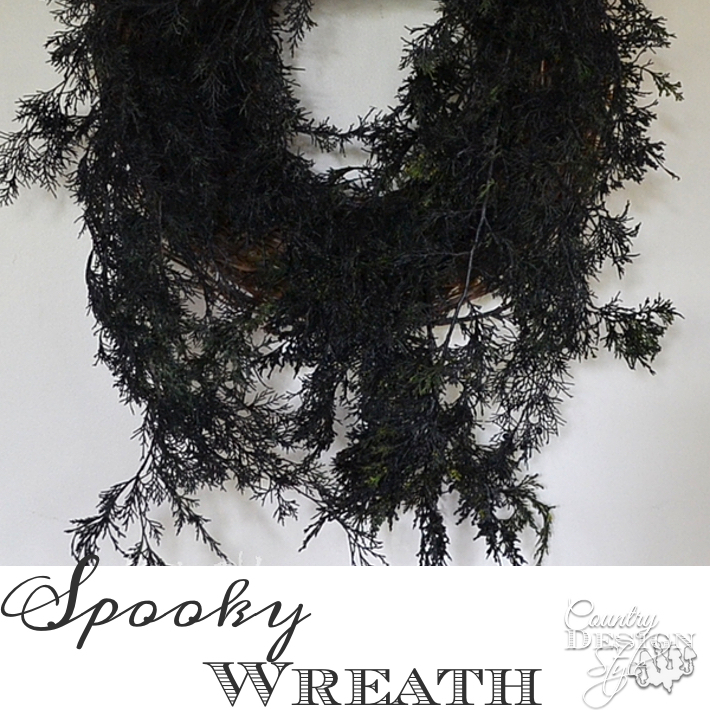 Can you guess what I used to make this black spooky wreath for October? Materials are easily available and took about 15 minutes to make. 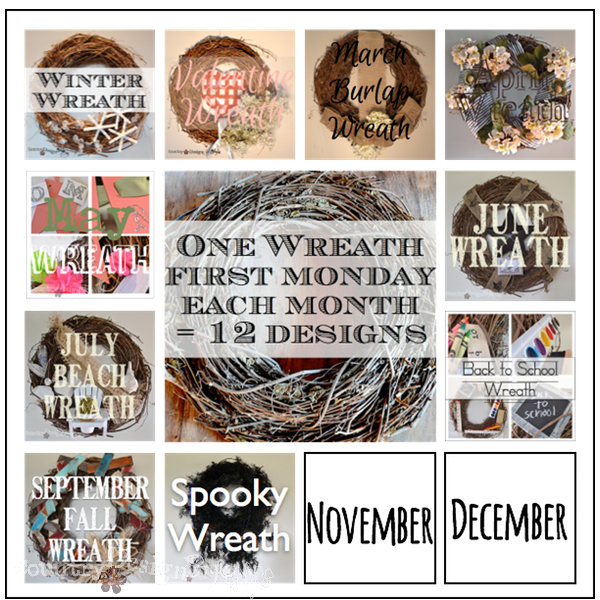 On the first Monday of each month I redo the same grapevine wreath. 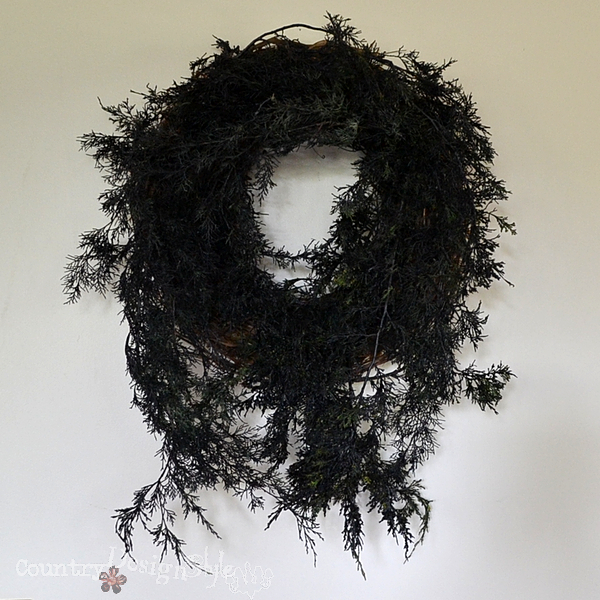 I have been using things gathered around the house for each wreath. 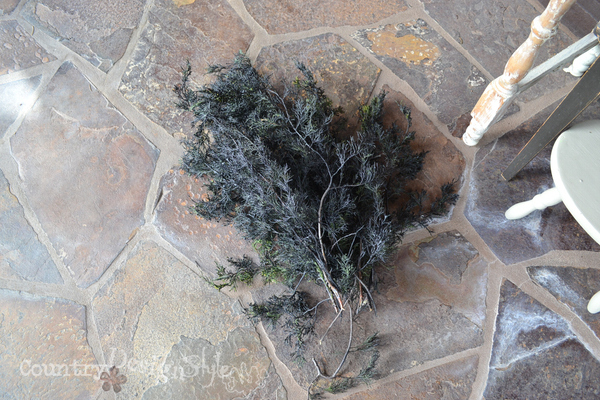 First I did some “firewising.” I clipped some branches from a couple of pine trees. We do live next to a National forest and really do worry about forest fires. I only clipped enough for my wreath. Then I spray painted the branches with black rubber seal leaky stuff. 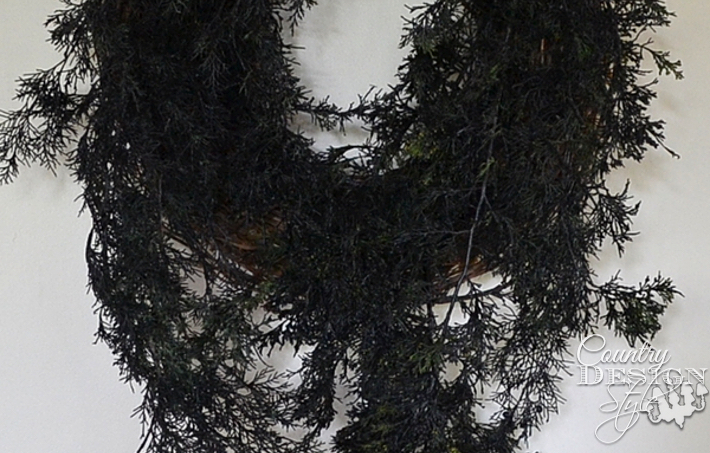 that I stuck around between the vines of the wreath. 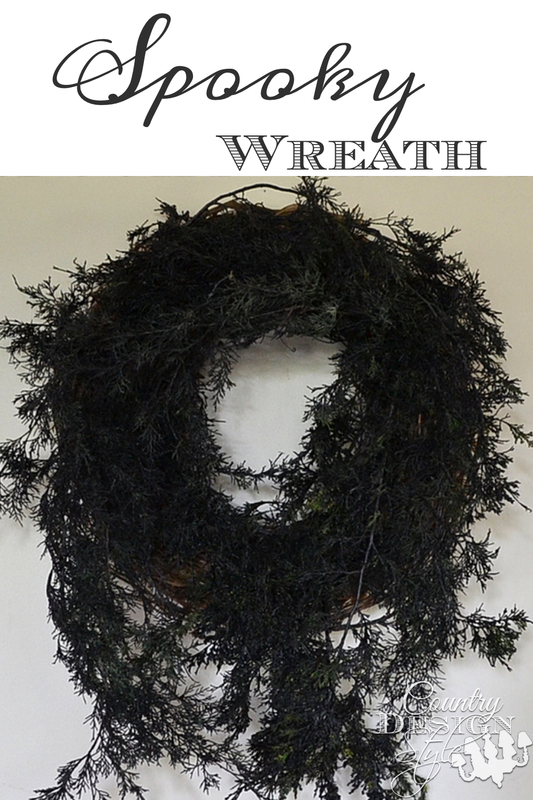 Here are links to the grapevine wreath for the other months. EEEK! Terrifyingly creepy how easy it was and how cool it looks!